Aurélia TOUATI, partner at LTA from 2004 to 2014, has developed a recognized expertise in the fields of corporate law, merger and acquisitions, private equity and contracts. Aurélia, with her team, advises entrepreneurs, corporate executives, companies, french and international groups. She is involved in their strategy and the development of their activities notably as regards corporate transactions (fund-raising, restructuring, merger and acquisitions and management packages), as well as their shareholders relations or advises them for the negotiation of commercial contracts or joint-ventures. Aurelia has developed specific skills in communication, production, retail and new techs/digital industries, with a dedicated offer for startups. 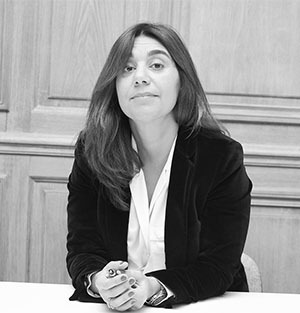 Aurélia TOUATI was admitted to the Paris Bar in 2000 and graduated from Paris II Pantheon Assas University.